A new thriller starring Alabamian police Detective Cooper Devereaux, who confronts a murderer dubbed the Birthday Killer. A woman disappears on the way to her twentieth birthday party. Three days later her body is found neatly laid out in the grounds of a Birmingham cemetery. The following week, a second woman disappears on her twenty-first birthday. Her body is discovered in a crematorium parking lot, and grisly forensic evidence leads Detective Devereaux to make a high-profile arrest. Two days later, with the suspect still in custody, another woman disappears. It's her twenty-second birthday. Can Devereaux correct his mistake and find the next victim before it's too late? And if not, how many more lives will be lost before the man the tabloids are calling the Birthday Killer can be brought to justice? 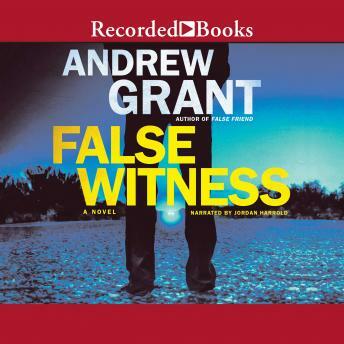 Author bio: Andrew Grant was born in Birmingham, England. He attended the University of Sheffield where he studied English Literature and Drama. He has run a small, independent theatre company and worked in the telecommunications industry for fifteen years. Andrew is married to novelist Tasha Alexander, and the couple divides their time between Chicago and the UK.